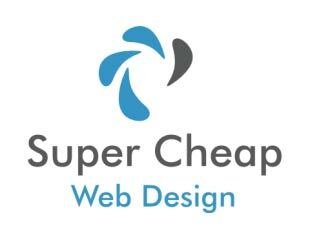 As mentioned previously cheap SEO doesnt mean sub-standard SEO and it is really only because of very low overheads that we are able to offer much cheaper prices than most other SEO companies. For those that don’t know SEO stands for Search Engine Optimisation and it is the process of building a websites rank on Google. There are 2 different elements of google search, the first is the ads section or better known as Google Adwords which is where you can pay per click for placement and the second element is what is called the organic listings which are the unpaid version. Which Option suits me better? Well for most brand new websites it is a good idea to use Google Adwords alongside a normal SEO campaign. This is because when a domain is brand new it does take some time to build up trust with Google. This means that improving rank organically initially will be a slow process, and in many cases can take up to four months for a brand new site. So quite often clients will use Google Adwords to drum up some business whilst waiting for the organic SEO to work. Once some good rankings and traffic are achieved, then clients can either taper down or put their Adwords campaign on hold. If however you have an older domain which has been indexed on google for a period of time, then any SEO work will show results in approximately one month. What businesses do you do SEO for? We currently carry out SEO for a variety of different businesses in a lots of different niches and so please contact us about any SEO work as it is probably something that we do! We are based in London, but most of our clients are from all over the UK and overseas. For overseas customers we can take a range of different currencies online via Paypal so is no issue in that respect and generally for overseas clients we can communicate via WhatsApp, Viber, LINE, Skype or email. Can you help with a site that has been penalized by Google? Yes this is something that we have been contracted to do many times, and generally any site can be turned around with some careful attention paid to the coding of the website and the entire SEO that has been carried out on the site. In most cases websites get penalised for quite simple things, and having a lot of experience in this area means that we will be able to reverse things quite easily. This will allow you to get your online business working for you again.